Electric buses are fast becoming an affordable and clean option for city transport, and a powerful symbol for city leaders. With cities shrouded in smog, nearly 12% of global deaths are associated with air pollution, according to the World Health Organisation. To make a significant cut in emissions, people need to leave their cars at home and opt for public transport. And what more if public transport were cleaner too? Electric buses are the big new trend in public transport, and they hold a great deal of promise for citizens and authorities alike. Cities across the world are setting goals to pilot and launch electric buses. We look at why cities are doing this and how they have been successful, as the technology has rapidly become affordable. Broadly, there are four reasons it appeals to central and local government leaders. First, cities want to improve citizens’ lives by cutting air and noise pollution from transport. An electric bus rapid transit system produces 50% less carbon dioxide than one run on diesel, a study in Belgium has shown. The move to electric vehicles has benefits even for countries dependent on coal-based power, says Ki-Joon Kim, Principal Transport Specialist at the Asian Development Bank (ADB), because emissions from power plants can be controlled and “reduced collectively”. Next, governments see electric buses as an opportunity to build a new industry. China is “trying to lead the electric buses in the world market”, Kim says. The government is subsidising vehicle manufacturers, and encouraging investment in related industries such as battery manufacturing. Third, countries are trying to reduce dependence on foreign imports for fuel. For example, Bhutan wants its energy sector to become 100% renewable, and is pushing for electric transport “so they don’t have to import oil from other countries”, Kim says. Finally, ministers and mayors want to be seen as champions of innovation. Electric buses provide a very visible platform to prove that they are implementing new and modern initiatives. 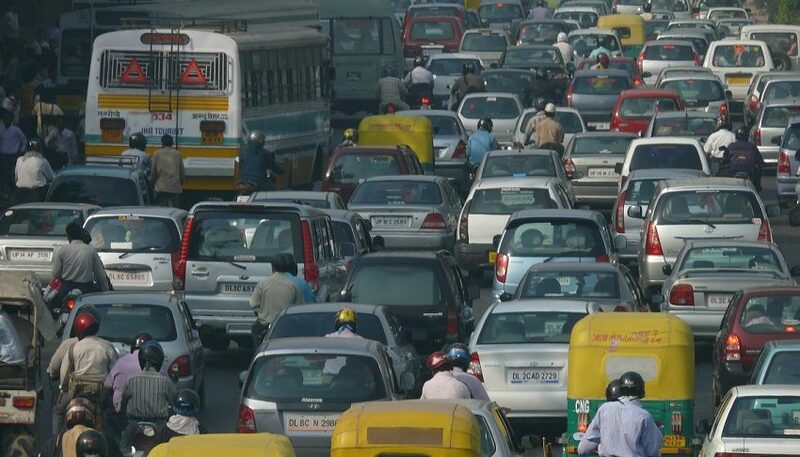 “They know that buses are operating something like 200 kilometres a day and they are visible all around the city,” says Jaspal Singh, the India head of the International Association of Public Transport. How are cities doing it? China stands out as a leader in electric public buses in Asia, and is by far the most active in promoting its use. Government subsidies in China have reduced the price of electric buses to almost equal to that of traditional combustion engine buses. The government has subsidised battery production – which can account for up to 40% of the production cost of the buses. The city of Shenzhen received a subsidy of 500,000 yuan (US$79,215) per electric bus from the central and provincial government each. Operating costs were also subsidised by 420,000 yuan (US$66,540). India expanded its support for electric public buses in 2017. Cities can get up to 60% of the cost subsidised through the central government’s FAME initiative – Faster Adoption and Manufacturing of Hybrid and Electric vehicles. The scheme offers additional financial assistance for setting up charging infrastructure. 11 cities have been selected to pilot electric buses in India. They will receive subsidies of INR 7,500,000 to INR 10,000,000 (US$115,350 to US$153,800) per vehicle for a total of 390 electric buses. The central government is now deciding on the second phase of its electric bus policy. “Our primary objective will be that the country’s public transport should be 100% electric,” Cabinet Minister for Heavy Industries Anant Geete has said. However, governments must also closely track the performance of such subsidies. China’s central government subsidies were slashed by up to half this year after the scheme was hit by fraud. Five companies have been caught collecting millions of dollars of subsidies for buses they never made. A major loophole found was that the subsidy amounts were too high and no technical standards were set for the vehicles procured, making it hard to track performance. In order to grow domestic industries, governments are tying incentives with requirements for local manufacturing. Cities favour companies with manufacturing and servicing facilities nearby. In India, electric buses must have at least 15% local content to be eligible for subsidies, while Taiwan requires 70% of components to be ‘made in Taiwan’. China’s support for local manufacturers gave manufacturer BYD its first successes in its home city Shenzhen, which has now become a model for other municipal fleets. Malaysia offers duty exemptions for locally assembled or manufactured electric vehicles. Putrajaya is working with the Japanese Government and Chinese companies to understand battery and other related technologies. It will then look to manufacture and assemble electric buses domestically. Despite centrally-led incentives and schemes, electric bus adoption will not pick up speed without buy-in from cities and manufacturers. For instance, bus operators in Taipei have been slower to adopt electric buses than those in smaller Taiwanese cities like Taichung, Taoyuan and Kaohsiung. 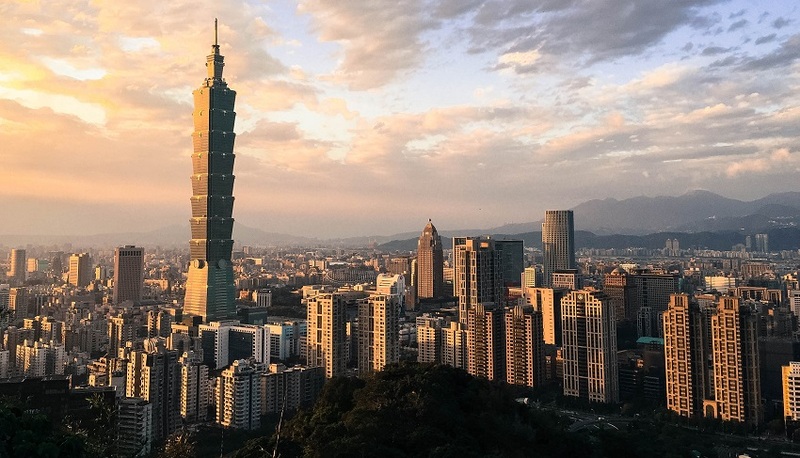 For years, a US$1 million annual budget to support electric bus purchases was not taken up by Taipei’s bus companies, despite a central government mandate for diesel buses to be replaced with fully electric ones. The city finally announced plans to launch its first electric bus trial in August this year. Malaysia has taken this challenge head on by setting up complementing infrastructure and policies. Capital city Kuala Lumpur has been running a fully electric bus rapid transit system for two years now, and plans to open 10 new routes. The city authorities have encouraged adoption by providing designated lanes and bus stops along the route. Routes link key destinations around the capital region and integrate with other modes of mass transport. Elsewhere in the country, Melaka city is following suit with electric buses to cut traffic and boost tourism. Melaka will take a whole-of-government approach to achieve this, combining electric buses with other policies to discourage private car use, says ADB’s Kim. He is advising the government on complementary policies, like parking restrictions and more space for pedestrians in central areas. Charging infrastructure is also crucial for successful take up. For example, Jakarta’s plan to switch public buses to CNG fuel failed due to a lack of fueling stations. The scheme was introduced in 2012, but three years later, Jakarta had only seven CNG refueling stations, resulting in long queues. Several countries have taken steps to standardise charging infrastructure according to global standards. For instance, India plans to standardise their charging infrastructure for electric vehicles in the next two months. South Korea set standards for fast-charging stations in January, similar to those used in the Europe and US. It plans to have 3,000 such stations by the end of this year, and further double that by 2020. Meanwhile, Taiwan set standards in 2015 to cut charging times, and now aims to install over 3,000 stations across the country in the next five years. A big barrier for cities to adopt electric buses is their perception of the costs. Recent trials and data on electric buses show that the lifecycle costs are now comparable to that of a diesel bus, and upfront costs are offset by the savings. An analysis by Columbia University for New York City Transit found that the savings from fuel and maintenance alone more than make up for the higher initial price of electric buses – including the costs of charging infrastructure. In effect, the total cost of ownership of electric buses would be equal to – if not lesser than – that of diesel buses. 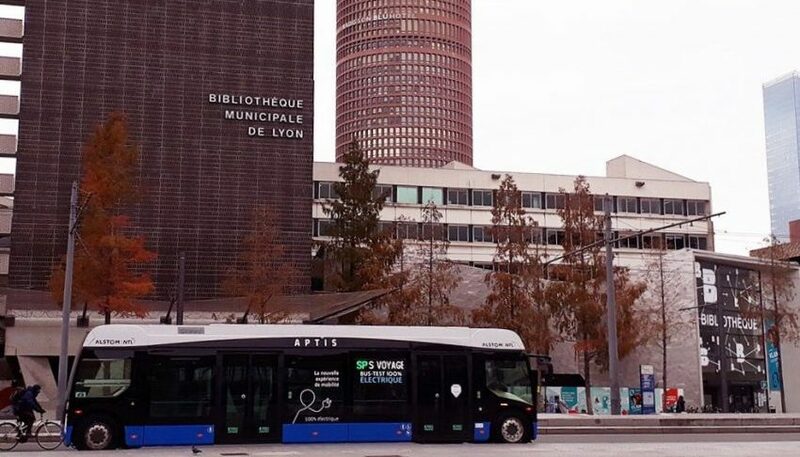 Global transport manufacturer Alstom’s new electric bus, Aptis, has a total cost of ownership equivalent to that of current diesel buses, according to the company. Tweaks in the bus’ design and technology have made maintenance easier and doubled the vehicle’s life expectancy, making it less costly over its lifetime. For example, it has four tires instead of the usual six, and the internal components are on the roof for easier access. The interiors are modular, and can be easily customised and refitted at various stages. Another reason that electric buses are more affordable is a rapid decline in battery costs. Lithium-ion battery packs now cost 80% less than in 2010, according to a Bloomberg survey. “Everyone in the field expects electric vehicle costs to go down drastically because battery cost will go down,” says ADB’s Kim. The climate is right; the seeds are sown; and the subsidies are pouring in. It’s time for a green revolution in public transport.